Whether you want to go exploring Denmark's untamed wilderness, or just practice being a bohemian in the city's cultural capital of Denmark, group travel to Denmark can be a fantastic way having the trip of a lifetime with your closest friends. Denmark's world-class transportation, vibrant nightlife scene, fresh air and quality of life make it an ever popular destination, and there is bound to be something for everybody if you choose this beautiful European nation as your vacation stop. Here's some great news: you can travel to Denmark for free if you have enough people in your group. Airlines and hotels can offer the host of a group discounts or freebies as part of the booking process for the group travel reservations, depending on the group size. Given the diversity of travel options while in Denmark, be sure to incorporate a fair amount of flexibility in your travel itinerary. The most successful group travel planners recognize that certain opportunities, like a special boat ride or maybe a wonderful meal in Denmark's historic restaurants, are best experienced as a group. But then other times, it is far better for travellers to make their own decisions on what they'd like to see and do. 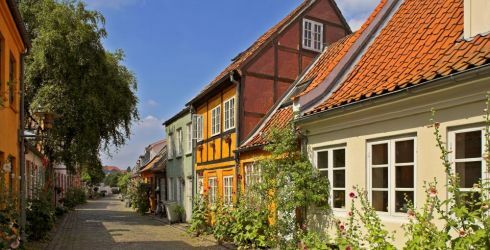 Some might want to wander around Denmark's famous palaces and gardens, others might want to fill their shopping bags in the ultra-modern department stores, and maybe one or two will want the brewery tour followed by a tour of the local pubs! Everyone has the right to do what they want on their vacation, and so design your plans to give everyone time to find their perfect experience. Finding a travel agent who can help with those group travel plans to Denmark a success can be hard. You'll want someone who has firsthand experience getting groups in and around Denmark, but also of course an individual who has plenty of destination knowledge. Both are important to make a group trip a success. This fascinating itinerary was crafted to show you some of Europe's most interesting historical sights. In just over a week you will visit Denmark's grand capital city, explore German cities along the North Sea and the Baltic Sea of immense cultural heritage, and then spend a couple days in Germany's lively capital city. And despite the fact that no fewer than three UNESCO World Heritage Sites are featured in the itinerary, you will find that these destinations are unspoiled and not jam-packed with tourists. If your group is looking to pair incredible, off-the-beaten-path sightseeing with European capital cities, this is the itinerary for you.